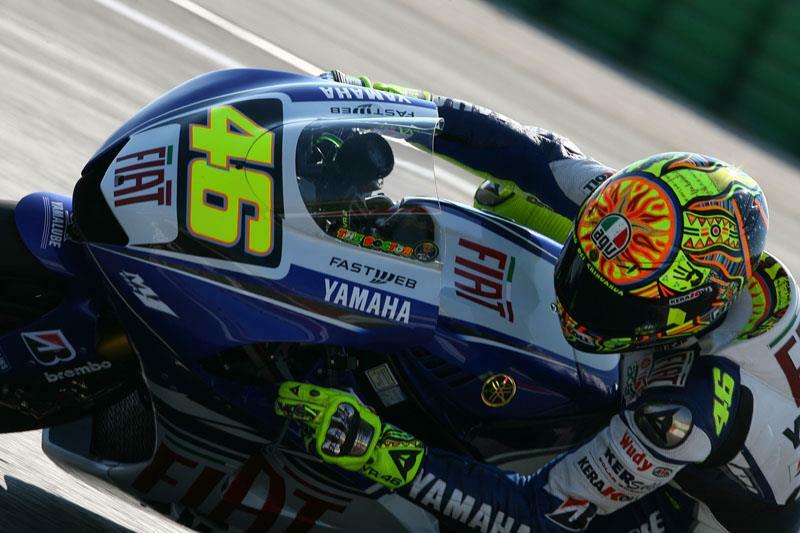 Italian helmet manufacturer AGV has recently launched the latest in a long line of Valentino Rossi replica paint schemes, the GP Tech 'Five Continents'. 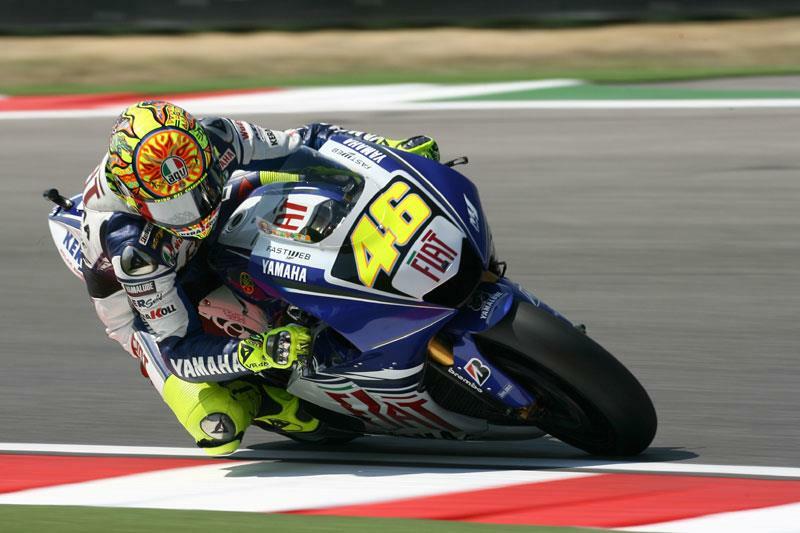 The new design is an evolution of Rossi's trademark sun and moon theme, in which each of the rays of light has been individually designed to represent one of the five continents that Rossi and his MotoGP rivals race on. One ray features icons of Aborigines feet to represent Australasia and another has an Indian for the Americas. 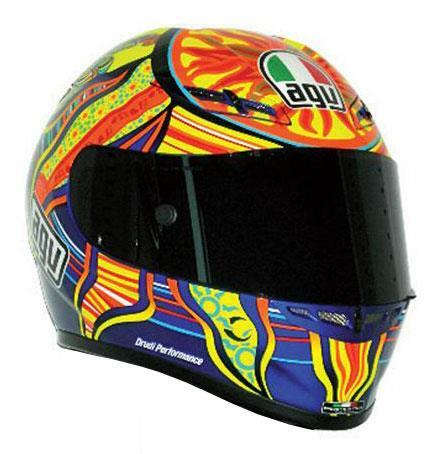 The GP Tech is the top of the range AGV offering, featuring a karbon-kevlar construction, removable lining and anti-fog visor with quick release system. Motorcycle clothing & accessories chain Hein Gericke has the first one's in the country, up for sale at £449.99.